That was posted here a few months ago. Yes, I saw. I remember. Just making a passing re-mention of it. I believe the film is currently being prepared to be shipped out to other festivals for later this year and possibly sometime next year. Progress is pretty slow, however... No word on which festivals, either. It's a short film. And according to IMDB, it's 18 minutes long. Exactly why it had its own funding website during production and is being showcased at small film festivals. And why promotion for it is so scarce. Hard to say how accessible it will be to the general public when the time comes. It most likely won't get a local cinema release. But it could possibly be released online. DVD sales is questionable at this point. Most shorts never get their own DVD. In the world of short filmmaking, it can go either way. The director said that she wants the short to be shown to everyone. But so far, nothing. Also, the story had the potential of a full length film, they spend 9 months in post-production, and spended 15.000 dolars, and it's just 18 minute long? That's insane. A film less than 10 minutes long usually takes about two to four days to complete in production (maybe 10-12 hours a day) and post-production--maybe less than a few weeks. A film 18 minutes long should take no more than a week to less than two weeks to shoot. Length of post-production may vary and work hours. I'll put an estimate of 13 to 15+ hours a day of work. But 9 months? I can maybe understand if it took that long to release the film to its first film festival, but not spend post-production on. I wonder what caused the delay. There had to be some delay. It doesn't take 9 months to edit 18 minutes of usable footage, unless they encountered technical difficulties while processing the film (which happens, an image file or sound file may have been accidentally erased when transferring the footage to a computer) where they had to reshoot scenes, do ADR, or they might of just had a ton of outtakes. Not sure why the production cost that much either. $2,000 for an 18-minute film could pay for camera equipment, food for cast and crew, permits, props, music, colour grading, etc. The filmmaking team must of had some undisclosed problems with production, then. For as much time as it took to make this film, I agree, they could have made it into a full length feature. This review is much more mixed than some previous ones, but the critic gave the show three stars, so he couldn't have been too disappointed. Technical glitches have beset the production and it's a shame that more illusion is not offered on stage. The few escapology stunts that are presented are entertaining and even though the lack of a strait-jacket routine disappoints, it remains fair to say that Nichols' performance alone does justify the ticket price. The supporting cast make the best of the two-dimensional characters that have been written for them. [...] Evanna Lynch (Harry Potter fans will not be disappointed, she played Luna Lovegood in the movies) has a complex role to play as Harry's wife Bess. As Houdini's fame grows, their marriage stumbles and Lynch is offered too much dialog that is little more than clumsy cliche. 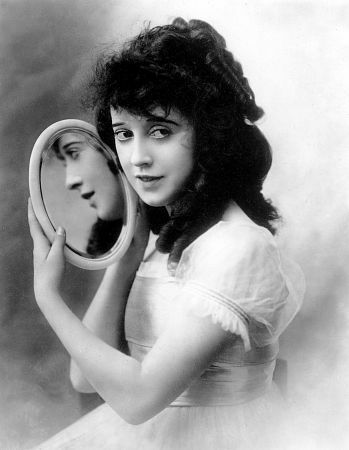 She makes a good job of it though and offers a look that has a gorgeously classic style with a hint of her character’s contemporary, Keystone Studios’ movie starlet Mabel Normand in her appearance. Katie Johnson's hair and make-up work is impressive. While many reviews so far have been generally positive, I notice that every critic has pointed out the same weakness: the technical difficulties. Perhaps, if the creative team were to improve upon these glitches, Houdini has the immense potential of becoming a larger show appropriate enough to be performed before a larger audience in a bigger theatre. In any case, a direct comparison to Mabel Normand is quite a compliment for Evanna. And judging from the photos we have seen, I have to say the make-up and hair in the actual show is much more impressive than the pre-publicity shoot by Thierry Sewell. Much more authentic to the time period. [T]hen we meet Bess, (played by Evanna Lynch) who we fear could potentially split the pair up, but it becomes clear that her intentions are good, and she very quickly marries the eldest brother Harry. The play itself, presents many possible dilemmas and conflicts which could see the characters falling out, but what makes it different is it keeps a sense of loyalty within the characters and never really descends into treachery and betrayal, and so I believe this benefits the audience and gives a feel good factor out of adversity. Evanna Lynch was very enjoyable to watch as Bess Houdini, she had the allure of a showgirl and drew the audience in with her whimsical and enchanting voice. It was impressive to hear her American accent, and she also showed she has what it takes to be a serious dramatic actress, and I look forward to seeing what she does next. I loled that much with that tweet. 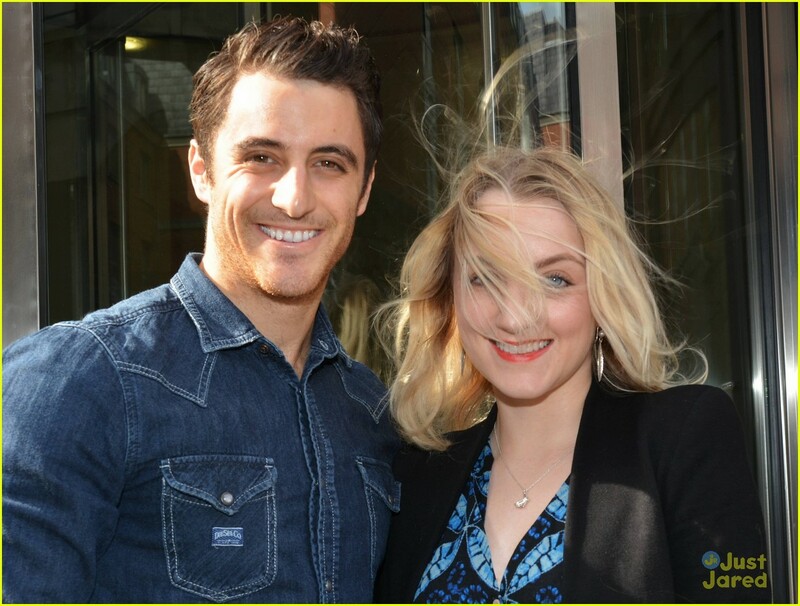 Evanna is adorable. A friend of mine watched the play in Dublin and she was amazed by it. I agree, I love her tweets. She's so weirdly humourous. I'm not even crazy about Twitter in general, but Evanna's tweets are something to look forward to. Starting shortly before Harry meets his wife, Bess, the audience is taken on a whistle stop tour of Harry’s rise to the top whilst Theo is left to struggle on in his shadow. [...] [T]he story seems to focus less on Houdini and more on the hardships of his younger brother leaving us wanting a little more of the great tricks and showmanship to balance out the rather angst filled speeches. Unfortunately the show itself seemed dialogue heavy and slightly off pace. Evanna Lynch as Bess had little to work with early in the script, with barely a conversation between her character and Harry as they begin their romance. Even a single happy scene between the two would have been useful to contrast the later decline, perhaps their wedding or even just a walk through the snow which Bess is said to have loved. The scenes in which Evanna could really shine were the emotion packed scramble to save Harry from the water tank shortly before the interval and the tearful speech given ten years after his death. First review I think that critiqued the dialogue heavily. That was me :) that's from a tweet from Stuart Brennan. 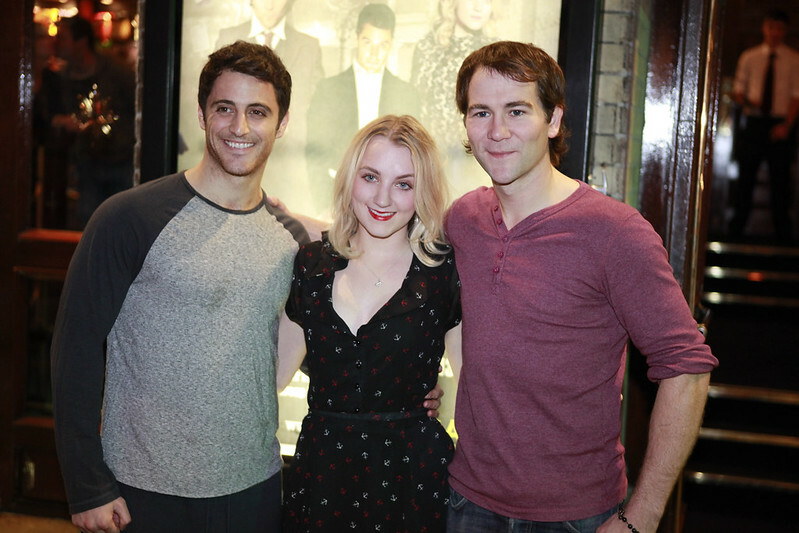 5 hours ago Saw a play starring the lovely Evanna Lynch tonight! She did a really good job! Played a very different role from Luna, and played it well.#houdini#gaietytheatre"
"Houdini at the @gaiety_theatre is a must see. @Evy_Lynch stole the show!! #CheckItOut"
Subdued, but she looks very lovely. Evanna Lynch poses for a few pics with Jamie Nichols outside of the Today FM Studios in Dublin, Ireland on Tuesday morning (October 8). The two actors stars as Harry and Bess Houdini in Houdini, which is playing at Gaiety Theatre until Saturday, October 12th. 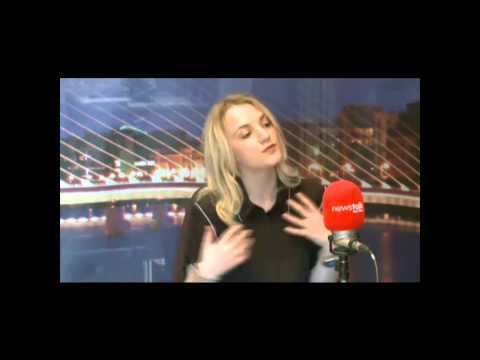 Evanna is also pictured outside the Newstalk Studios for Pat Kenny Show on Monday (October 7). Evanna Lynch has said she would jump at the chance of a part in the new JK Rowling film adaptation, Fantastic Beasts And Where To Find Them. The actress played Luna Lovegood in the Harry Potter films and when she found out the book which has a link to her character was going into development at Warner Bros, was keen to sign up again. She said: "When the news broke that was the first that I heard of it and I had a bit of a freak out on Twitter. I actually tweeted at Warner Bros, 'Please put me in the movie!' They were like, 'Sounds good.' I don't know what that means." Evanna said she doubted Luna would make an appearance: "I don't think Luna will be in it, because it's set 70 years before and with the time it took us 10 years to make Harry's span at Hogwarts, 70 years of a time lapse between this guy's life and when Harry's born, I think I'll be too old. I think I'll be an old woman by the time I get round to it." But she said she was open to playing any part in the film, even if it wasn't Luna. "Someone did say on Twitter, they said, 'You could do the story from the point of view of Luna relating the story to her children about your great grandfather 70 years ago,' which I would be totally down for. "But I'm also down for playing a fantastic beast, I think that would be quite fun." Feathery show goodness with @marklyminster #bessnbecks #tourbffs only 2.5 more shows to go! Evanna could easily be part of the Fantastic Beasts movie. It would be awesome if she could be involved since it would make sense, but who knows at this point? Check out the very talented Houdini cast front page of Metro Herald today [9 Oct.]. What an amazing show! Both are very similar. Being hp fans, have met each other, and both tried to play Luna. Also, my mother and a friend saw The Lovely Bones and they thought that Saoirse was Evanna xd Anyway, Evanna is older than Saoirse. I personally think they look really different, but from certain angles, there's a slight uncanny resemblance (like in the picture above). It's the opposite, because Evanna is older than the Fannings. The point is, I don't see how anyone could think they resemble each other. 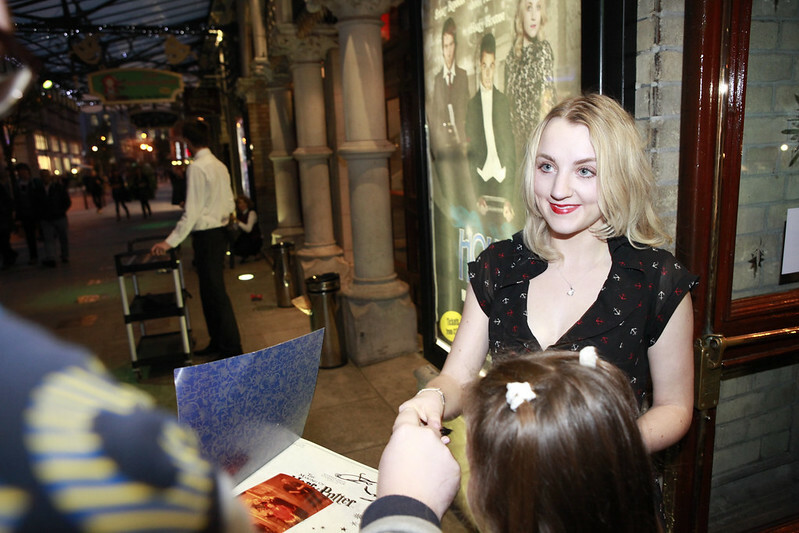 They're blonde - Evanna, unnaturally. They have blue eyes. That's all. Love that Evanna mentions about her voice. It's funny that she used a microphone on her hair to make sure that people can listen to her.